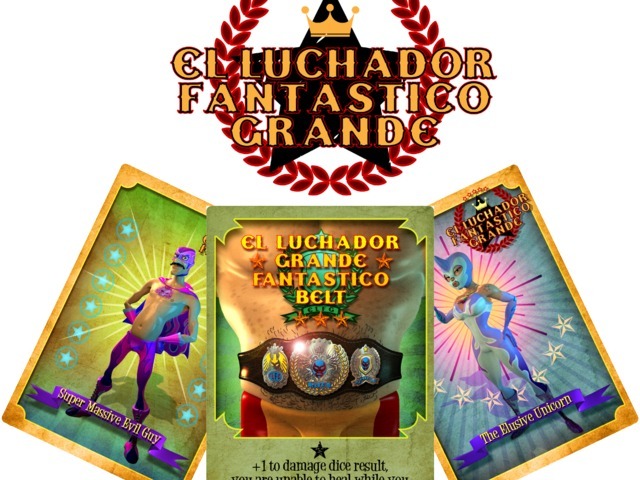 El Luchador Fantastico Grande is a new card and dice game that brings the excitement of Mexican wrestling to your tabletop. They've just launched their Kickstarter campaign (off the high ropes with a double-flip). So go have a look-see. The artwork, by talented artist Frantz Kantor, is richly detailed and full of brightly colored Lucha Wrestlers. From the game's mechanics to its great characters, it combines the best of modern hobby gaming with the outlandish and colorful style of Mexican wrestling.